Greg Dalton is “of counsel” to the firm. He is one of the few attorneys in the State of Texas that focuses his practice on the area of ad valorem taxation. Over the past 20 years, Greg has been able to assist property owners and their consultants in their valuation disputes with appraisal districts throughout the State of Texas. This experience has allowed him to develop a positive, cost-effective working relationship with many of the appraisal districts and taxing jurisdictions. Greg has handled valuation and exemption issues for both real and personal property. 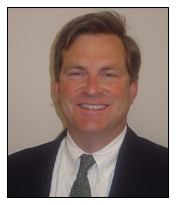 Greg has primarily represented property owners, management companies, and consultants. His clients have asked him to represent them not only in the area of property taxes but also with respect to their other varying legal needs. As a result, Greg also has experience in real estate, corporate matters, litigation, and estate planning. These clients have ranged in size from national REITs to local entrepreneurs. Greg grew up in Houston and received a Bachelor’s of Business Administration from the University of Texas in 1982 and his law degree from the University of Houston Law Center in 1985. Greg was an equity partner in his prior firm where he practiced for 16 years. Greg is a member of the State Bar Committee on Ad Valorem Taxation and the Texas Association of Property Tax Professionals. He has authored several papers, given numerous speeches and presentations, and taught several continuing legal education classes in the area of ad valorem taxation.